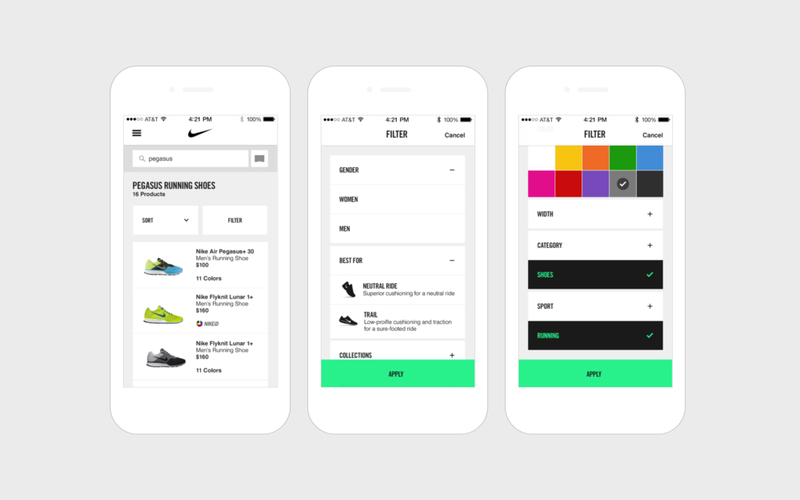 Nike mPOS iOS app is a tool for in-store associates to perform daily mobile point of sale tasks. The goal of the app is quick and easy interactions that lead to speeding of the checkout process and better serving consumers. A product can be found by scanning the bar code on tag / box or by filtering by product type, gender, best for what sport, color, etc. The product page displays the most important information about the product, together with colors available. From here the associate has a glance of what sizes are available in stock. 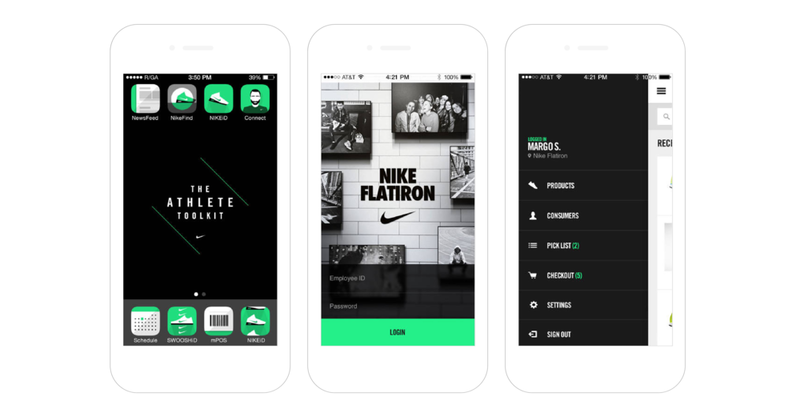 They can directly order a product for pickup, order online, or customize with NikeID.